The opioid epidemic continues to grow in the United States, and despite some efforts to defeat it, it is showing no sign of slowing, let alone stopping. Overdoses are currently the leading cause of death of Americans under the age of fifty, and two-thirds of overdose deaths are from opioids. In 2016, 62,000 Americans died from overdoses, a number that was 19% higher than in 2015, and a number that in one year was higher than the number of Americans killed in the wars in both Vietnam and Iraq combined. This is a huge increase; the number of overdose deaths in the United States was 16,000 in 2010, and 4,000 in 1999. From 2000-2015, half a million people died from drug overdoses, and research suggests that each and every day in our country, ninety-one people die from an opioid overdose. According to the Department of Health and Human Services, in 2015, 828,000 Americans used heroin, and 135,000 of them used it that year for the very first time. As a result, there were 12,989 deaths attributed to heroin overdoses during that year. However, prescription opioids took even more lives in 2015; there were 15,281 deaths in the United States that could be attributed to commonly prescribed opioids in that year. In that same year, the Department of Health and Human Services also shared that 12.5 million people misused prescription opioids such as oxycodone, hydrocodone, and methadone, 2.1 million people for the first time, and as many as 2 million people had an opioid use disorder. How did we get here? Many factors have led us down this path, but it seems the most likely cause was due to an increase in the prescription of opioids during the 1990s and since. Today, as many as one in four people who are prescribed opioids for long term, non-cancer pain end up addicted. Here’s a look back on opioid use and abuse in our country, and around the world. People have been growing, harvesting, and using opium since approximately 3400 BC in Mesopotamia. The Mesopotamians passed it on to the Sumerians, who passed it on to the Assyrians, who passed it on to the Egyptians, and it spread from there. 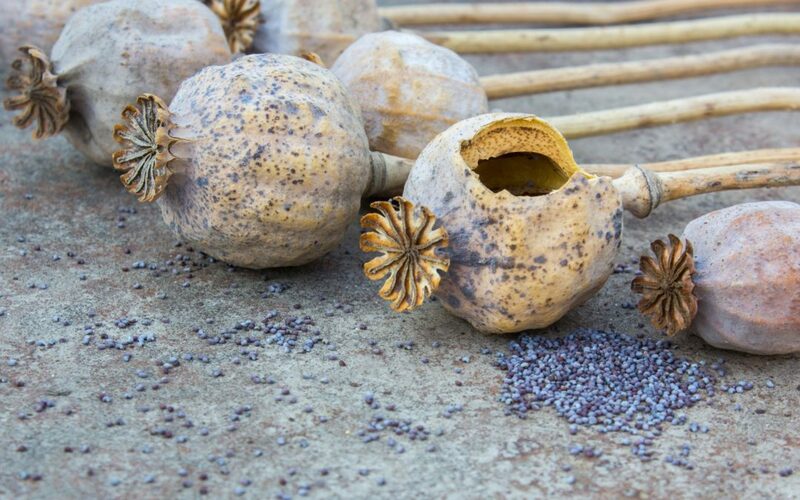 Eventually, 3000 years later in 400 BC, Hippocrates acknowledged opium for use as a drug for internal diseases, and Arabs, Greeks and Romans soon began using it as a sedative. In 330 BC, Alexander the Great’s travels spread it to India. During the Spanish Inquisition in 1478, all things from the East were banned in Europe and opium disappeared there for a short period, but it reappeared in 1527 when Swiss-German scientist Paraclesus began to use it for pain through his invention of Laudanum, which is still available by prescription today. England’s Thomas Sydenham improved on it in 1680, and in 1806, German chemist Freidrich Serturner eventually isolated morphine from opium, and named it after the god of dreams, Morpheus. Soon after, morphine quickly became a big part of medicine in the United States. It was used for pain, anxiety, menstrual cramps, and respiratory problems, as well as for many other ailments. The hypodermic needle was invented in 1853 which resulted in morphine being used more frequently in surgeries. In the Civil War, it was used as a painkiller for battlefield surgery and general post-surgery pain relief; as a result, many soldiers became dependent on it, and their subsequent post-war addiction was referred to as “soldier’s disease.” As a result of the growth of dependencies, heroin was created in 1898 in search of a safer derivative of morphine. Bayer soon offered it as a part of a “non-addictive” cough suppressant. By the early 1900s, the spread of opiates and American’s addiction to them was already starting to become a major issue. Groups like The St. James Society, a group of Catholic missionary priests, began to offer free samples of heroin to people who were trying to quit morphine. By 1909, Congress passed the Opium Exclusion Act, which banned the importation of opium for smoking, and in Germany, in 1916, scientists at the University of Frankfurt first synthesized oxycodone with hopes of developing an opiate based painkiller with fewer addictive qualities. The Anti-Heroin Act of 1924 made heroin illegal in the United States in 1924, even for medical uses. It seemed that legislation and attitudes were on the right track to get opiate use under control in our country at this time. Unfortunately, scientists and doctors did not yet realize how dangerous opioid derivatives were yet, and through the 1950s, prescriptions of oxycodone, in the form of Percodan (oxycodone and aspirin), grew rapidly. Further, the 1960s saw a resurgence of heroin due to soldiers returning with it in large quantities from Vietnam. To make matters worse, in 1969, The World Health Organization changed their previous stance regarding the addiction potential of morphine; their researchers reported that morphine was actually safer than once thought at that time. Despite the growth of prescription opioid use during this time period, the Controlled Substances Act passed in 1970, placing different drugs into different “schedules” based on medicinal value, harmfulness, and potential for abuse and addiction. Prescription opioids were classified as Schedule II, but heroin, which cannot be prescribed received a Schedule I classification. The DEA was created in 1973 to help enforce the Controlled Substances Act, and President Nixon officially declared the War on Drugs, at a time when the United States had the highest number of heroin addicts of any nation in the world. Despite the high rate of heroin addiction, many doctors and clinicians felt that at this time the pain of actual medical patients was being vastly undertreated, and as a result lobbied for an increase use of opioids on all types of pain. In order to hopefully reduce the likelihood that patients would become dependent, extended release versions of morphine, fentanyl, and oxycodone were created. However, by the late 1990s, an increased number of Americans – as many as 100 million, or one-third of the population – were diagnosed with chronic pain. Between 1991 and 2011, painkiller prescriptions in the United States tripled from 76 million per year to 219 million. The most common opioids prescribed during this period were oxycodone (Oxycontin and Percocet) and hydrocodone (Vicodin). And, with the increase in volume of sales, the potency of these drugs also increased. By 2002, one out of six drug users were prescribed drugs stronger than morphine, and by 2012 that number doubled to one out of three. Even more shocking, by 1999 some estimate that nearly four million people (2% of the population over the age of 12) were using prescription drugs non medically – 1.3 million people in the United States were illegally using sedatives and tranquilizers, 900,000 illegally used stimulants, and as many as 2.6 million were misusing pain relievers.Abuse, misuse, and addiction continued to grow in the early to mid 2000s, and actually doubled in the period between 1998 and 2008. And it continues to grow and grow today; in 2009, misuse and abuse led to 730,000 emergency room visits that year, a number which also doubled by 2014. And, as use and abuse of prescription opioids rose, heroin use did as well due to being more inexpensive and even easier to get. As each year has gone by, it has become more and more evident that not enough is being done, despite increased legislation attempts to slow the opioid epidemic. In 2010, the United States started to prosecute doctors and pharmacists who were over prescribing these medications and had some small successes, but as a result the displaced addicts who could no longer get their prescriptions filled turned instead to heroin. In 2016, President Obama signed the Comprehensive Addiction and Recovery Act into law to expand treatment options for addicts and to authorize millions of dollars in funding for research to help slow abuse, addiction, and fatality rates. Later that same year, the Twenty-First Century Cures Act passed which included $1 billion in state grants to fight the epidemic. This year, President Trump appointed a commission to deal with the epidemic, chaired by New Jersey Governor Chris Christie, in an attempt to get an understanding of and hold on the problem, and declared the opioid crisis “a national emergency” on August 10th of this year. Further, in recent years, the FDA has released opioids that are extended release and have other built-in properties to help stop abuse. These properties include things like addition of a physical barrier that make them difficult to chew or crush, or added antagonists to reduce the high or euphoria addicts seek. Some types include aversion elements that create an unpleasant effect if inhaled or taken in a higher than prescribed dosage, and others include pro-drugs that make it so it only works when it reaches the stomach, thereby discouraging injection. So what now? Currently, the opioid epidemic is killing, on average, 10.3 people per 100,000 nationwide, but some states have it much worse – for example, that rate is 30 per 100,000 in New Hampshire, and 40 per 100,000 in West Virginia. The number of people dying each year from these drugs is nearly equal to the number of Americans killed in car crashes, and the number who die from heroin alone is higher than the number of people who die in gun homicides. Something needs to be done, and fast. Hopefully doctors and scientists will come to their senses and stop prescribing these dangerous drugs, and though education and prevention we can only hope that most people will learn that trying heroin even once can put someone very quickly on the long road to a life of addiction. Fortunately, there is help. Don’t become another statistic. The personal war against addiction can be won with support. We at Clear Sky Recovery are here for anyone struggling with drug addiction. Much evidence has shown that a safe, monitored ibogaine detox like we offer at our facility in Mexico can be extremely helpful for anyone trying to end dependencies on heroin, oxycodone, methadone, or buprenorphine. We want to help you break free. Our intake specialists are standing by to answer your questions and get you on the road to recovery. Please call us today!